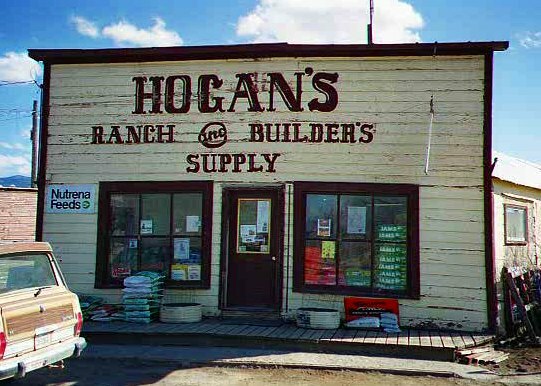 Hogan's Ranch Supply, located in the nearby town of Hall. The Hogans are all my cousins. There are two sides of the road in Gold Creek: the Hollenback side and the Hogan side. That's about it. Oh, there's the catholic church too.